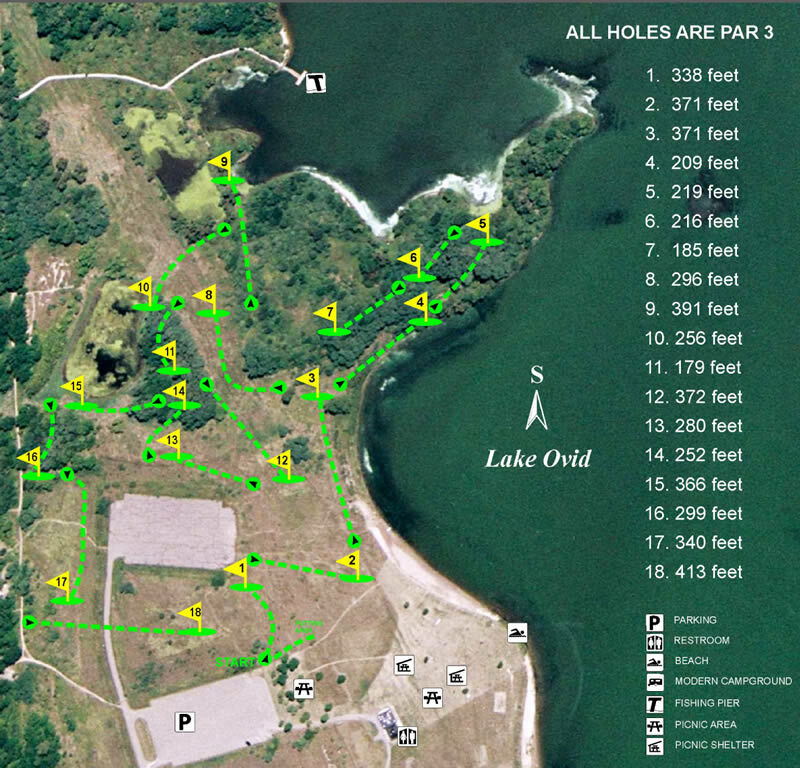 Good course with a mix of technical wooded and long, open holes. Elevation changes, water in play on 4 holes and #9 has a peninsula green. On-site camping, swimming, and fishing. Recreation Passport required for Michigan residents ($11). Out of state vehicles need a day pass ($8.40) or annual sticker ($30.50). From US 127; exit 91 (Price Rd.). Go east 5.6 miles to the entrance of Sleepy Hollow State Park. In the park, follow signs to beach parking lot (3rd left - 1.6 miles from park entrance). Park in the far SW corner of the beach parking lot for the trail to the course. Have you played at The Legend at Sleepy Hollow State Park? Be the first person to review this course!